As you know, we recently went to Knott's Berry Farm, to spend a family fun day with Snoopy, Charlie Brown and the rest of the Peanuts gang. We all agree that it was probably our most fun trip that we've ever had to the classic So Cal theme park. The weather was hot, yet beautiful - hello summer! We actually rode on some rides together as a family, which is rare because I never like to get on anything. (True mom confession.) But this time was different, this time I faced my fears and rode on the water rides - Timber Mountain Log Ride (TWICE) and Bigfoot Rapids. I've even got the video to prove it! Knott's has a lot of new things that your family can experience, plus some classics that never get old. Camp Snoopy has three new rides, Calico Mine Train got a makeover and the snacks just keep getting better over there. (My family really loves those gourmet fries!) 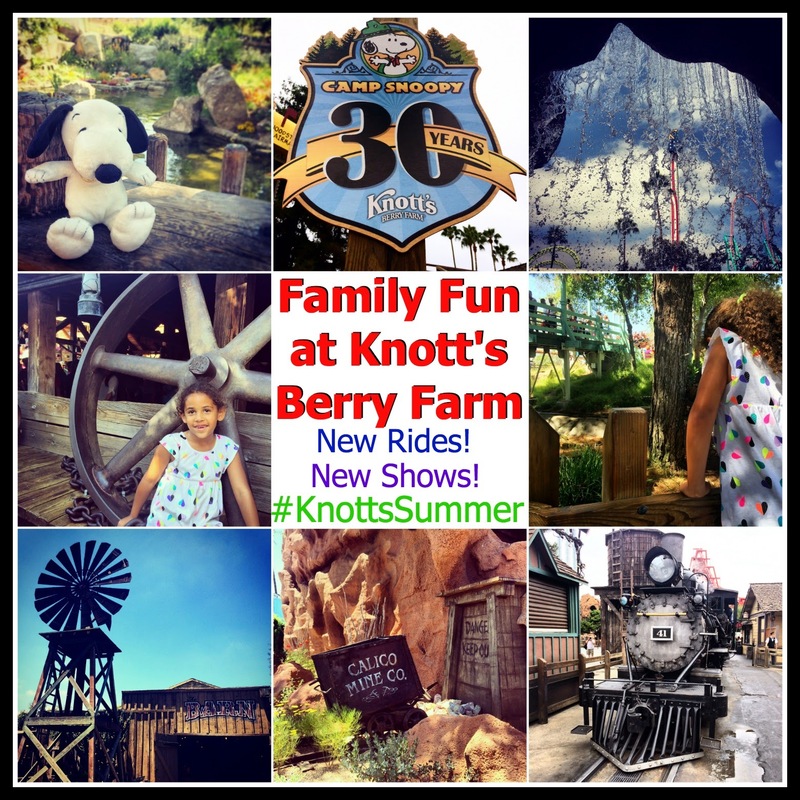 So sit back and enjoy these videos from our day at Knott's Berry Farm, then get out your calendar because you're going to want to schedule a trip before summer is over! Knott's has their own video telling all about the three new Camp Snoopy rides in detail, you can check that out HERE. Make sure to visit their Youtube page. Full Disclosure: I was not paid for this post. The opinions in this article are my own. I do not work for, or with, any brand mentioned in this article, nor do I have any official relationship with them. I have a relationship with GigaSavvy, for whom I create original editorial content. These opinions are 100% mine and 100% fresh.